CARFAX 1-Owner, GREAT MILES 11,808! SE trim, Ruby Red Metallic Tinted Clearcoat exterior. FUEL EFFICIENT 35 MPG Hwy/27 MPG City! CD Player, Onboard Communications System, Smart Device Integration, TRANSMISSION: POWERSHIFT 6-SPD AUTO W... Alloy Wheels, iPod/MP3 Input. CLICK ME! iPod/MP3 Input, CD Player, Onboard Communications System, Aluminum Wheels, Smart Device Integration MP3 Player, Keyless Entry, Steering Wheel Controls, Child Safety Locks, Electronic Stability Control. Edmunds.com`s review says The interior is notable for both its high-quality materials and its stylish good looks. 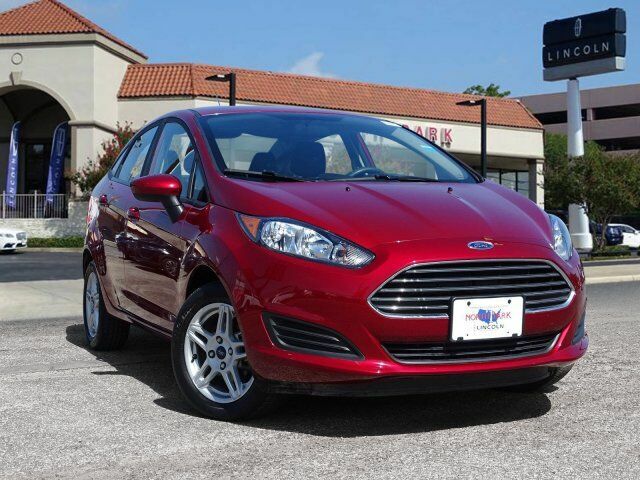 There`s plenty of room up front, and the height-adjustable driver seat and tilt-and-telescoping steering wheel make it easy to find a comfortable driving position.. Great Gas Mileage: 35 MPG Hwy.